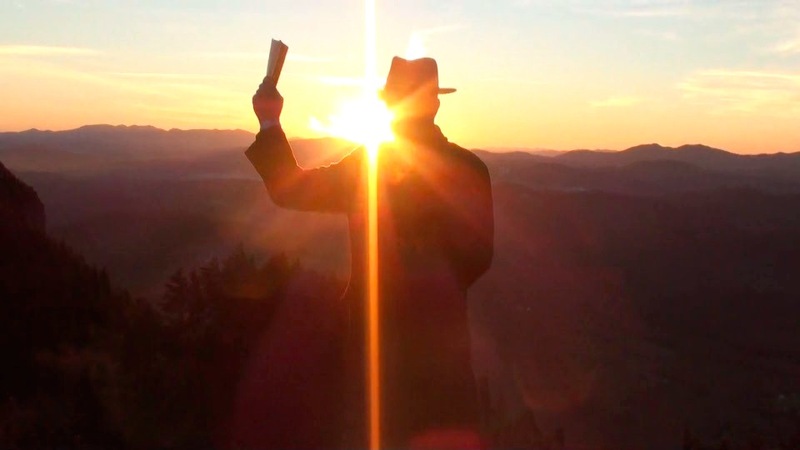 Greetings fellow MLJ fans – I hope you are well and staying in the word. Recently I met with Harrison Powell, the founder of WithGod and I want to encourage you to consider adding his app to your phone. As much as Dr. Lloyd-Jones’ Studies in the Sermon on the Mount have meant to me, I realize that it is overwhelming to most people in terms of depth, content and mostly time commitment. Its really clear after hearing Harrison describe his interviews with over 800 Christians and how they spend their time feeding their spiritual selves. I am really glad to see this talented young man approach our Walk in this new way. I think it will be enormously helpful to many of us who are constantly facing distractions from our faith, most often through our smartphones! Take a look at WithGod.com and ask yourself who can really benefit from this app – I think you will agree, we all can. Bryant Wright again brought a powerful sermon Sunday at Johnson Ferry Baptist Church in Atlanta. I was glad to hear him mention Dr. Lloyd-Jones work on the Sermon on the Mount mentioning the following passage about pain. “The world, it is obvious, has fallen into this primary and fundamental error, an error which one could illustrate in many different ways. Think of a man who is suffering from some painful disease. Generally the one desire of such a patient is to be relieved of his pain, and one can understand that very well. No one likes suffering pain. The one idea of this patient, therefore, is to do anything which will relieve him of it. Yes; but if the doctor who is attending this patient is also only concerned about relieving this man’s pain he is a very bad doctor. His primary duty is to discover the cause of the pain and to treat that. Pain is a wonderful symptom which is provided by nature to call attention to disease, and the ultimate treatment for pain is to treat the disease, not the pain. So if a doctor merely treats the pain without discovering the cause of the pain, he is not only acting contrary to nature, he is doing something that is extremely dangerous to the life of the patient. The patient may be out of pain, and seems to be well; but the cause of the trouble is still there. Now that is the folly of which the world is guilty. It says, ‘I want to get rid of my pain, so I will run to the pictures, or drink, or do anything to help me forget my pain.’ But the question is, What is the cause of the pain and the unhappiness and the wretchedness? They are not happy who hunger and thirst after happiness and blessedness. No. ‘Blessed are they which do hunger and thirst after righteousness: for they shall be filled.’ This is equally true, however, of many within the Church. You can hear more online from Bryant at Right From the Heart.org. The most famous prayer in the history of the world has enormous meaning when understood through the strength and spiritual acuity of Dr. Martyn Lloyd-Jones. Here in a brief 90 minutes, is everything you need to know about the Lord’s Prayer. ‘The Lord’s Prayer’ is a perfect synopsis of our Lord’s instruction on how to pray, and what to pray for. I suggest that if you can say from your heart, whatever your condition, ‘My Father’, in a sense your prayer is already answered. It is just this realization of our relationship to God that we so sadly lack. The app will be available on all the major platforms for $2.99. In the summer of 1968, between college and seminary, I read Martyn Lloyd-Jones’sStudies in the Sermon on the Mount. It was then, and is now, spiritually and theologically powerful. Lloyd-Jones was one of the best preachers of the 20th century. Thanks to the grace of digital technology, he still is. Now these 656 pages are recorded by Chris Allen in five apps for your phone, with about six hours of reading in each app. What is unusual about these apps is that the text of the book scrolls as they are read to you — or you can just read. It’s like getting an audio book and ebook and a player, all in one. These have been my exercise-at-the gym listening for the past several weeks. Main reaction: conviction, longing, worship. If you are a book-listener or ebook reader, Lloyd-Jones’s Studies in the Sermon on the Mount is a classic worth your investment of time and money. John Piper (@JohnPiper) is founder and teacher of desiringGod.org. He served for 32 years as pastor of Bethlehem Baptist Church, Minneapolis, Minnesota. He is author of more than 50 books. John and his wife Noël have five children and twelve grandchildren. This book is a re-cast, condensed and, in parts, re-written version of the author’s two volumes D. Martyn Lloyd- Jones: The First Forty Years (I982) and The Fight of Faith (I990). Since those dates, the life of Dr Lloyd-Jones has been the subject of comment and assessment in many publications and these have been taken into account. The main purpose of this further biography, however, is to put Dr Lloyd-Jones’ life before another generation in more accessible form. The big story is all here. This is an exceptional examination of the Beatitudes and Matthew 5:3-12. First preached in 1951 at Westminster Chapel, Dr. Martyn Lloyd-Jones clarifies the meaning and desires Jesus Christ has for his Kingdom. As you listen along with the narrator consider exploring the extras tab for access to hymns, verses, biographies, a glossary and word games based on the content unique to this app.